Perfect for caterers, schools, churches, and offices, this easy-to-use coffee urn makes a large amount of coffee at one time so you can quickly serve a crowd. 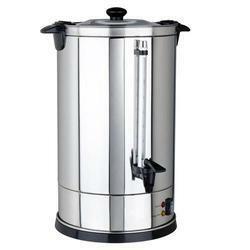 It is designed to keep coffee hot and fresh for hours - through your entire catering event or meal period. Plus, it is made of sturdy double wall stainless steel for long-lasting durability.